The brand Farfetch was created back in 2001 by José Neves. Not only that they have Clothes, Bags, Accessories and Jewellery from Designers as Chloé, Dolce & Gabbana, Fendi, Marni and Valentino, to name just a few on their homepage. They launched a bespoke shoe service this year. 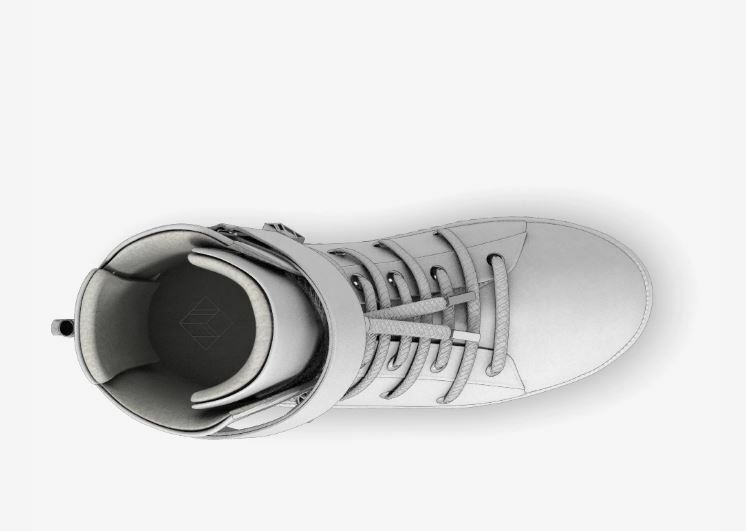 With a 3-D modelling technology on their website Farfetch.com you can choose from 10 different shoe styles for women and men, from 7 different fabric and from the front to the heel to the hardware and even the Zipper tape. They cover a colour range from black to beige. With the fashion industry under the pressure with the customers craving for unique clothing or shoes Farfetch hit the goal with their MYSWEAR shoes. I played with their customizer on Farfetch.com. I mixed and matched hundreds of different versions, because it’s so easy and makes a lot of fun too. You start feeling like a designer yourself, which is I think the point of it. And you know what? I like it. A lot. 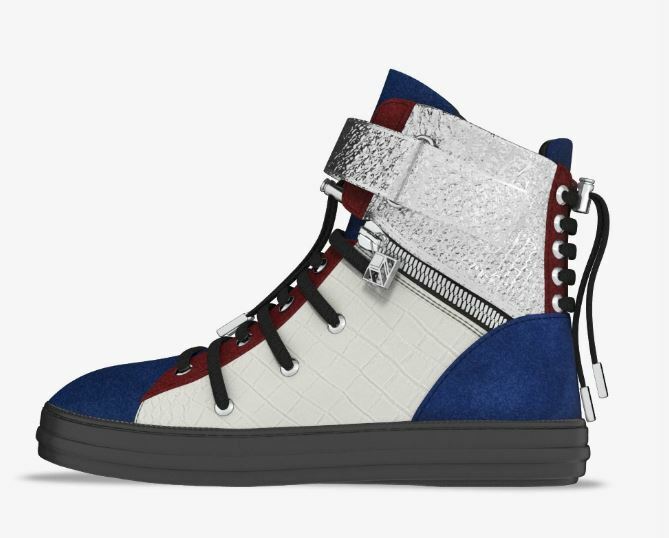 I chose the ‘Regent’ hi-top sneaker as I like the model. 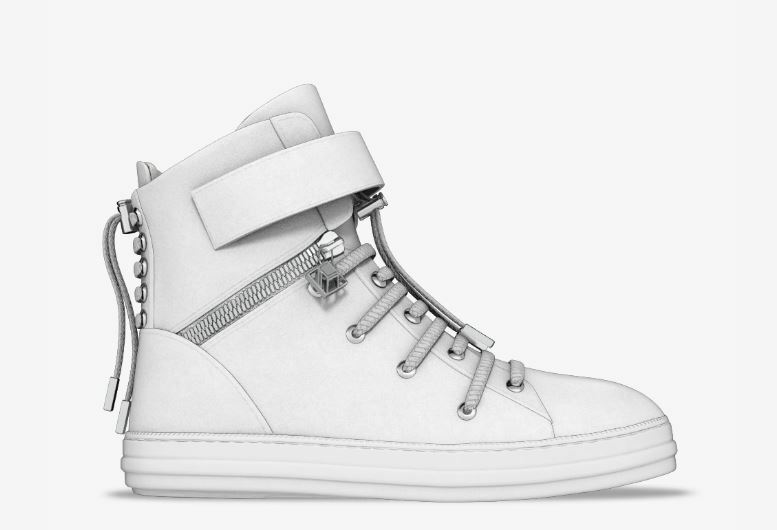 These high top sneakers always appealed to me because I like how you can pair them with a skinny jeans or a mini skirt. It makes an elegant outfit more casual. Plus the sneakers are super comfy too. I combined different fabric like Suede, Python and Crocodile, as I like the look of the various surfaces. It makes the shoes even more unique, if that’s possible after all. For the front, stay and heel I decided to go with Suede because I like the smooth finish. For a contrast on the ankle side and side I chose python and crocodile. The pattern of the crocodile is bigger and it gives the side a better look than a suede finish. Also the python is in my opinion the perfect choice for the ankle side as it shimmers silver. The strap tip and the Zipper are silver to go with the silver python. 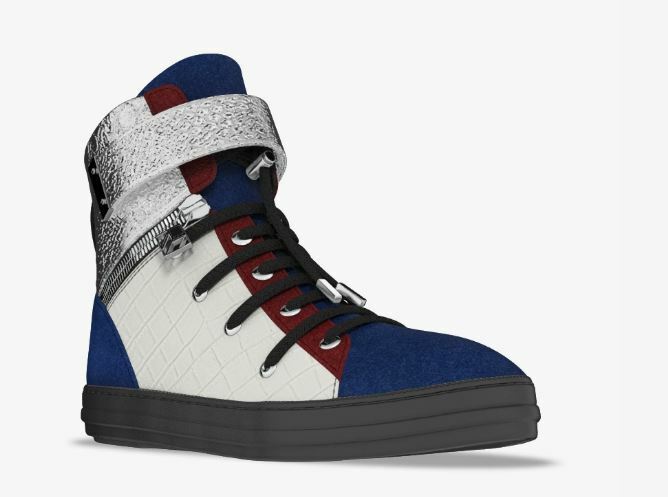 I chose red, cobalt and white or rather silver because I wanted the MYSWEAR look a bit british as I love Great Britain. On the other side you can pair the combination of white, cobalt and red perfectly with jeans and despite that with the silver python it has an extra glam factor. I really love the outcome of my shoes. I tried to change the python and the crocodile but as I said before it gives the shoes just the right amount of sparkling glam. Look at this beauty I love the simple yet glamorous finish. It’s simply perfect. 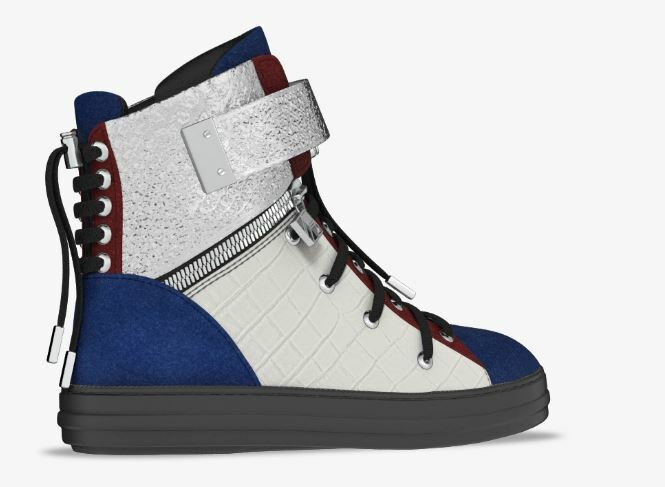 You also want to design your own shoes? You wanna get your hands on a luxury one-of-a-kind shoe, which is only crafted for you in Portugal by artisans? 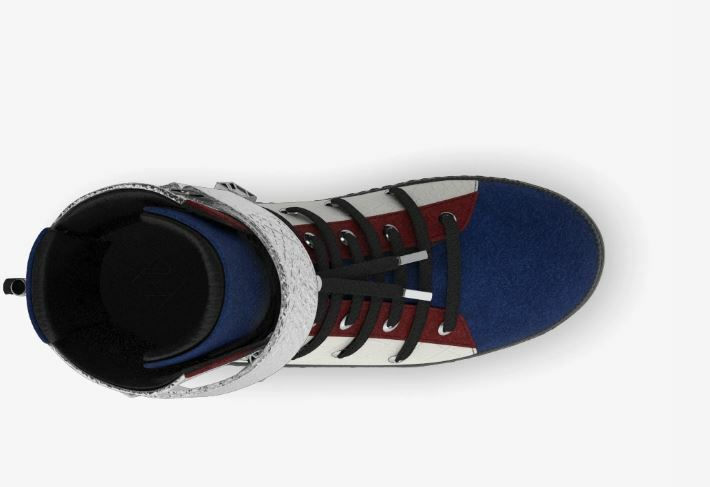 Head over to their editorial page to create your own pair of MYSWEAR shoes. You will see how much fun you will have and how easy it is.